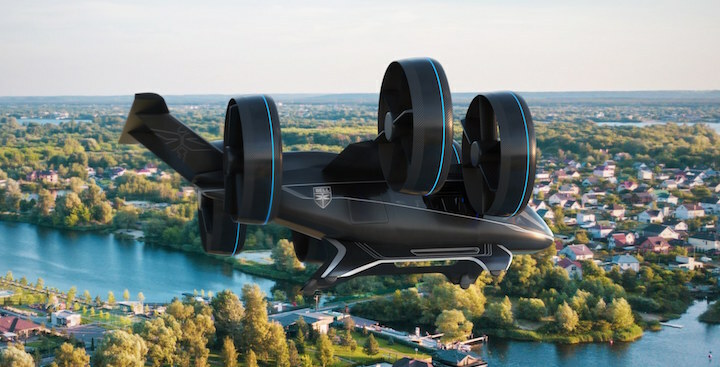 Ford has partnered with the University of Michigan’s Center for Sustainable Systems to study the potential effects of electric vertical takeoff and landing aircrafts, or “flying cars”, on the environment. Four of the paper’s co-authors were from the Ford Research and Innovation Center. According to The Detroit News, the study found that flying vehicles like these, which are essentially oversized drones, are not suitable for short commutes. This means they wouldn’t be a suitable replacement for ride-sharing services like Uber. However, flying cars could still have a “niche role in sustainable mobility for longer trips,” the study found. Their potential viability would also go up if they were able to carry more passengers, which would make them cheaper to use and also more environmentally friendly. The study also found that flying cars had average emissions that were 52 percent lower than gas-powered cars and 6 percent lower than battery electric ones on a 62-mile (100 km) trip. This is because aircrafts can reach cruising speeds, making them more efficient, whereas a road-going vehicle would have to constantly stop and go. Flying cars could also beneficial in extremely congested city centers, where they could be used as a taxi service, though this would be less environmentally friendly than taking a gas-powered car, which is kinder to the environment over tips lasting 22 miles or less. This is a speculative study, as there are currently no production ready flying cars or VTOLs on the market. According to The Detroit News, researchers tapped publicly available data from companies that have developed their own VTOL prototypes. The example shown here was designed by Bell Helicopter and is called the Nexus. You can read the entire study for yourself at this link. Impact is right! When it impacts a goose at 50 mph, then impacts the ground! One thing overlooked in the coverage of this story: the carbon footprint of an electric car or an electric air taxi are defined by the carbon footprint of the means of producing the electricity. The carbon footprint of a gasoline car is defined mostly by the combustion in the car itself. The difference is significant. Adopt zero carbon emission electricity production (e.g., wind, solar, or nuclear), and the carbon footprint of both the electric car and the electric air taxi are smaller than a gasoline car for both all trips. I am being a bit disingenuous, without improvements in energy storage, wind and solar cannot achieve zero carbon emissions. Nuclear fission already does. to share air space with all the commercial air traffic already out there? Keep dreaming.